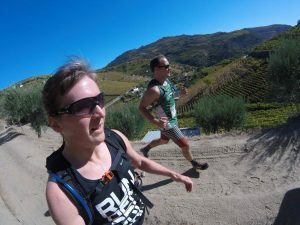 Last week I flew out to Portugal with my friend Melissa to meet Luís to run the Douro Trail race; 25km downhill through vineyards in the Douro valley. You’d think a downhill race is easy, but it’s really tough on your legs. 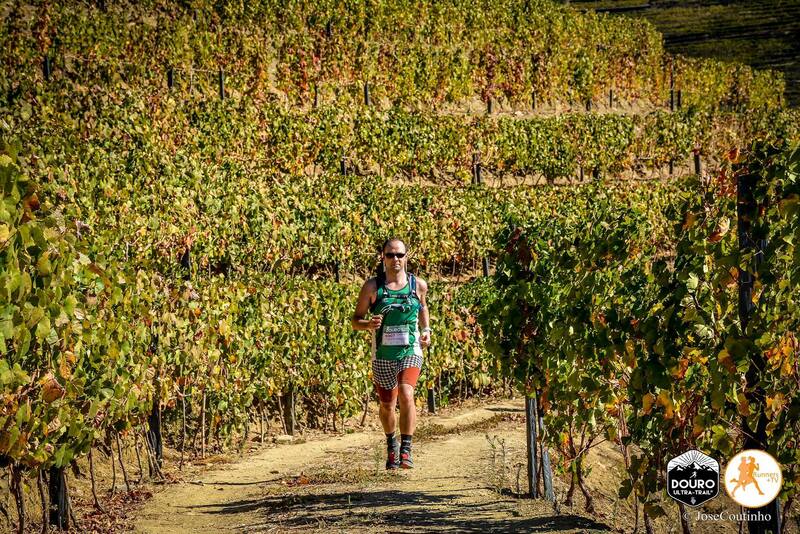 You have to make the choice: slow yourself down with your thighs; or let yourself fly down at speed, sighting stable places to throw your feet to and hoping for the best. The first 10k was super fun, lots of chatting and downhilling. 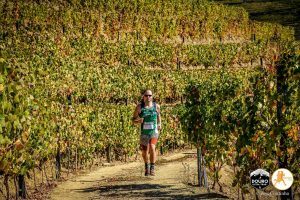 Then it started to get really hard – we’d travel down for a while, then come to the bottom of a ravine and need to climb up 100m or so, either winding our way up through rows of vines hip-width apart, or on occasion, clambering on our hands and knees over walls and through gardens. The aid station at around 18k in was welcome. At that point i’d heavily underestimated how much work we were doing and I was well behind the curve on getting fuel into my body. I fell upon the orange wedges and watermelon slices and felt much better for having rested for a minute. We carried on down and up, every corner revealing more beautiful views. 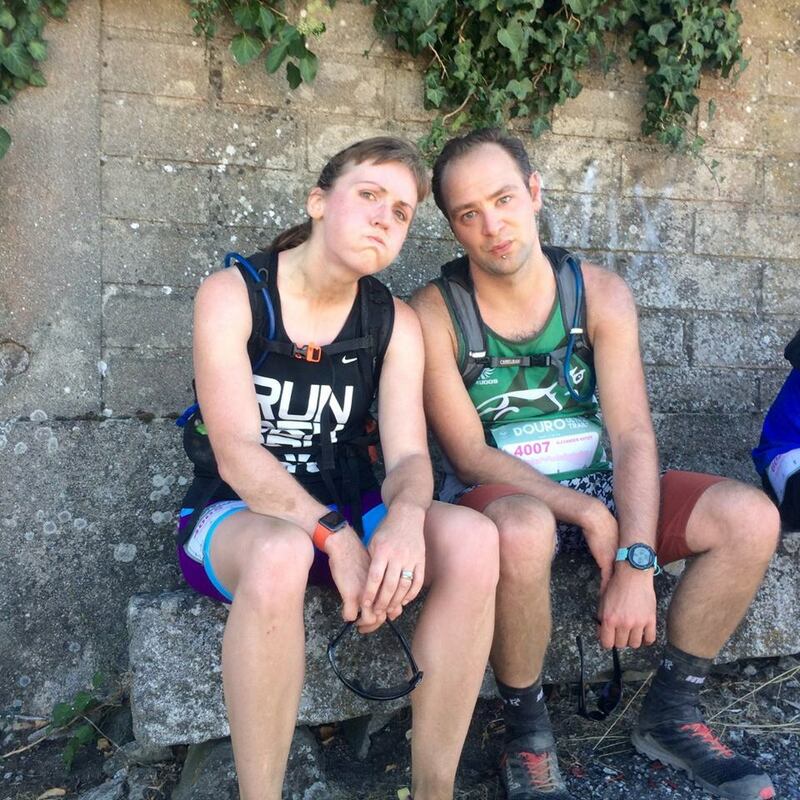 Unfortunately on some of the final uphills, and on the last 1k I completely bonked – my legs felt like they wanted to throw up – and I had to walk the last bit on the flat into town, only managing to run over the line supported by my teammates Melissa and Luís. Such an absolutely gorgeous race, with lovely people. A bottle of wine afterwards has never tasted so well won. I think that was the hardest thing i’ve done yet.